The undercarriage of a track-type machine is one of its most important components. It’s also one of its most vulnerable, as it incurs the majority of the wear and tear experienced when working in rough terrain or other difficult conditions. It’s no surprise that undercarriage maintenance accounts for an estimated 50% of all fleet repair budgets. 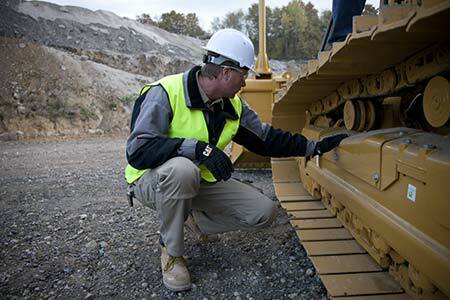 For government agnecies and contractors struggling to keep costs in check and projects on track, a dedicated partner for undercarriage repairs is an essential ally. That’s where Gregory Poole comes in. For more information about our full repair capabilities or to request a quote for service, contact Gregory Poole today. When something goes wrong with the undercarriage on one of your track-type machines, you need repairs quickly. We understand it isn’t always possible to bring your machine in to our shop, which is why we’ve greatly expanded our ability to serve clients in the field. One call is all it takes to have a mobile service van at your location. If it isn’t possible to fix the issue completely, we’ll attempt to perform temporary repairs that allow you to get back on track until the job is done. Our extensive selection of undercarriage parts enables us to offer this level of service to our clients. As a Cat dealer, we can source any item, typically within 24 hours or less. That’s an important advantage for any government agency! Give us a call to learn more about how we can help.